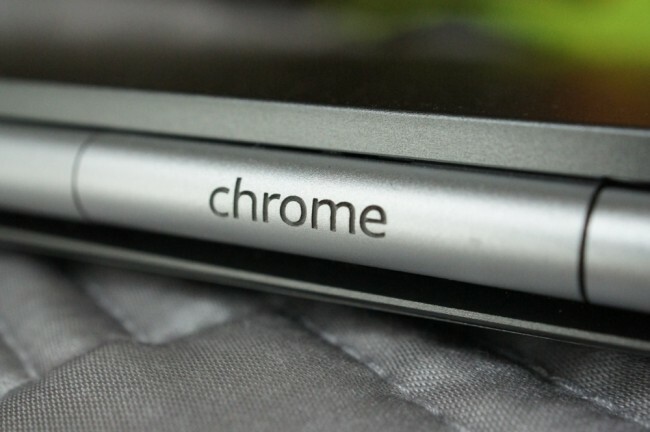 Is Google Creating a $35 HDMI Dongle Called Chromekey? The week leading up to Google I/O, we received a tip that mentioned the possibility of Google announcing a product called Chromekey. At the time, we thought this was going to be an HDMI-style dongle that could plug in to any monitor or TV in order to make Chrome OS accessible on any screen at a low price point. While we still believe there is an HDMI-style dongle in the works called Chromekey, new information points towards it being more of a receiver, that can interact with your smartphone, tablet, or computer to extend not only a Chrome experience, but also streaming video and other content to your TV. Let’s talk about what we think we know. Chromekey is an HDMI dongle that can plugin to a TV or monitor and then display mirrored content from a smartphone, tablet, or computer. It allows you to put a Chrome browser onto a big screen, or stream videos and access other apps from smaller screens to your TV. In order to use Chromekey, you’ll need to have an open HDMI port on your TV. Once connected to your TV, it’s powered by a USB cable (plugs into TV or AC adapter), attaches to your local WiFi network, updates automatically to new software, and is an extension of the content you consume on your other devices. You will be able to “CAST” the Chrome browser from your phone, tablet, or computer to your TV so that you can enjoy the full internet on any display. But beyond just Chrome, the Chromekey will allow you to mirror content from YouTube, Google Play, and Netflix directly to your TV. You could even pull up sites like Hulu, ABC, Google Maps, or other video sites. It is our understanding that Google Chrome will receive an update in the near future that will allow it to mirror itself to other screens (so be on the lookout for that). We would also assume that an update to the mobile versions will include a “CAST” icon that when pressed, turns blue to let you know that you are connected to a TV. This is likely similar to what you see with the YouTube app currently. So that also means that future apps could have “CAST” support built in, that would allow you to mirror them to your TV with the press of a button. The specs won’t blow you away by any means, but since it’s more of a receiver than a powerhouse computer, you shouldn’t expect them to. We’re looking at an HDMI plug, a single core processor, 2GB of storage, 512MB of RAM, 802.11 b/g/n WiFi, VP8 (Chrome mirroring), CEC compatibility, video resolution at 1080p, and is powered by USB (or an adapter). According to sources, the Chromkey will launch for $35 on Google Play, at Best Buy (both online and in stores), and through Amazon. For a limited time, Google may even offer free shipping should you pre-order the device. Still no word on a launch date, but it sounds as if it could be ready in the “coming months.” That’s not much of an exact time frame, and we were sort of expecting to see this at I/O and didn’t, so it’s anyone’s guess at this point. Interested in a product like this? At that price point, it seems like a product you would want a couple of, to attach to every TV in your house.